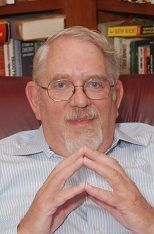 James W Cooper is the author of 18 hard cover books and 1 E-book on science, technology and food. He was a chemistry professor at Tufts University, and spent 25 years in IBM's Research Division, and 3 years as a Vice President of Bruker Instruments. He has written over 900 columns for Examiner.com as the Fairfield County Food Examiner. He holds a Ph.D. in organic chemistry from Ohio State University and an A.B. from Oberlin College. He is also an avid cook, gardener and photographer. When vacationing on Nantucket, he also writes restaurant reviews. Published extensively in computer science.